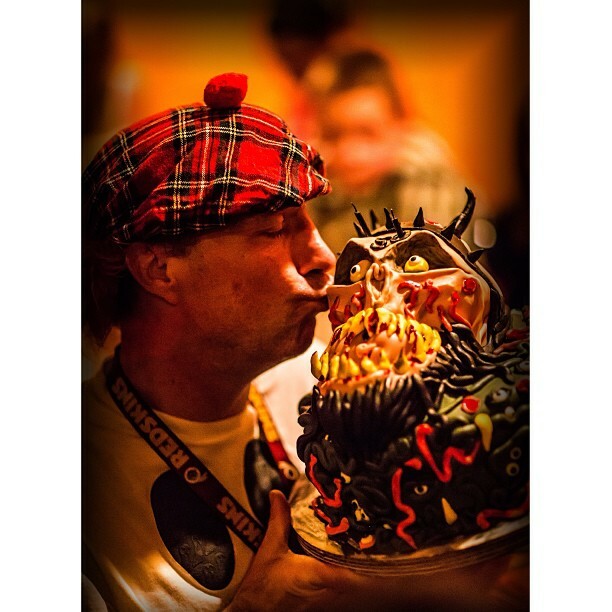 On behalf of Dave Brockie’s family, Slave Pit Inc. and GWAR, we would like to thank all the loyal fans worldwide for the outpouring of love and support shown to us over the past few days. Knowing that we have such amazing family, friends and fans is truly helping us all get through this tough time. We are awaiting a toxicology report from the medical examiners office to confirm the cause of death. The medical examiners office has informed us that the results can take one to three months to be processed. Standard protocol exists that a toxicology procedure be performed. We have made funeral arrangements and a private memorial has been scheduled for close friends and family. As Dave and Oderus would have wanted, this year’s GWAR-B-Q scheduled for August 16th at Hadad’s Lake (7900 Osborne Turnpike Richmond, VA) will still take place as planned. We have scheduled the Dave Brockie public memorial to take place the day prior to the GWAR-B-Q, Friday August 15th, also at Hadad’s Lake. More information shall be released as the details are confirmed. This entry was posted in Artist, Bassists, Classic Metal, Classic Rock, Drummer, Glam, Guitarists, Heavy metal, Internet Radio, Metal, Music, Outlaw Metal, Punk, Rock, Rock N' Roll, RockStar, Sleaze, Surrealist, Tattoos, Thrash Metal, Vocalist, Whiskey Metal, Wornstar Clothing and tagged 80's, Bleach Bang, Bleach Bangs, Bleach Bangs Radio, Charlie Owens, Classic Rock, Dave Brockie, Glam, Glam Rock, GWAR, GWAR-B-Q, Hard Rock, Heavy Metal, Metal, Music, Oderus Urungus, Randy Norris, Rock, Rock N' Roll, Rock Star, RockStar, the Hellion, the Hellion Rocks. Bookmark the permalink. ← Help support the Hellion Rocks with a T-Shirt!! !